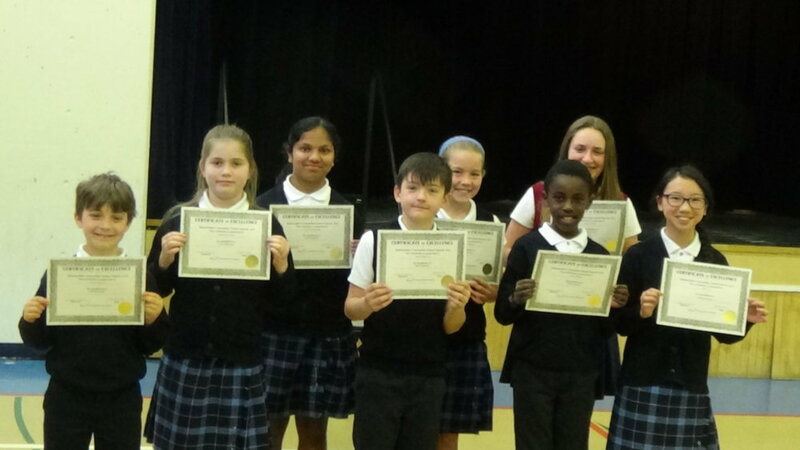 UPDATE: Congratulations to the ten students who represented ICS at the Archbishop Carney Speech Arts Festival in April. Gold and silver medals were achieved by all ten of our participants – we are so proud of you! 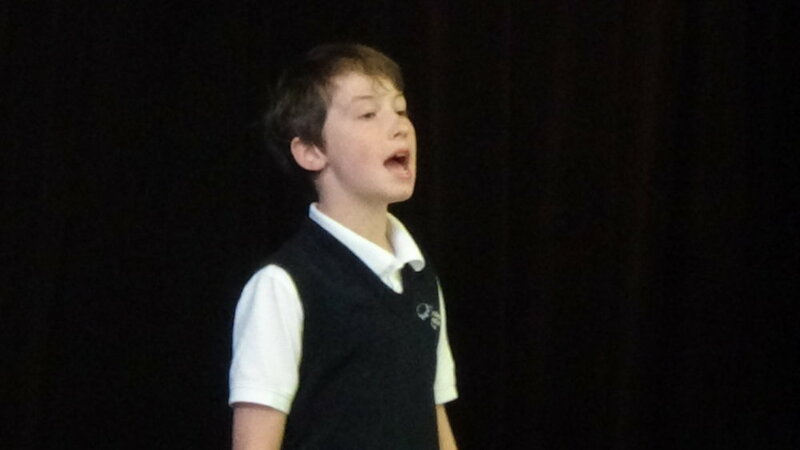 On Friday, April 10th, we held our Speech Arts Competition to determine which students will be attending the Archbishop Carney Speech Arts Festival later this month at St. Joseph’s School. What a talented group of orators we have at ICS! There were two categories for the intermediate students: prepared Bible reading and poetry recitation. The poems ranged from the engaging verse of Shel Silverstein and Roald Dahl to the pensive and contemplative verse of Mary Oliver, Robert Frost, and Matthew Arnold. Bravo to all of our competitors! The decision was not arrived at easily; one Grade Four student and one Grade Five student will be advancing in this category. In addition, we have two students representing ICS in the prepared Bible reading category. Best of luck to you all! The primary students shared equally fun poems with the audience and also included some Shel Silverstein and Jack Prelutsky gems. One student from Grade Two and one student from Grade Three will be advancing in this category. Theprepared Bible reading is always challenging, as our students must prepare three of the readings but do not know which one they will read on the day of the competition . . . congratulations to our Grade One and Grade Two winners! Finally, the primary students also take part in Prose Recitation and the selections this year were most challenging, ranging from Mercy Watson by Kate diCamillo to Harry Potter and The Philosopher’s Stone by J.K. Rowling. 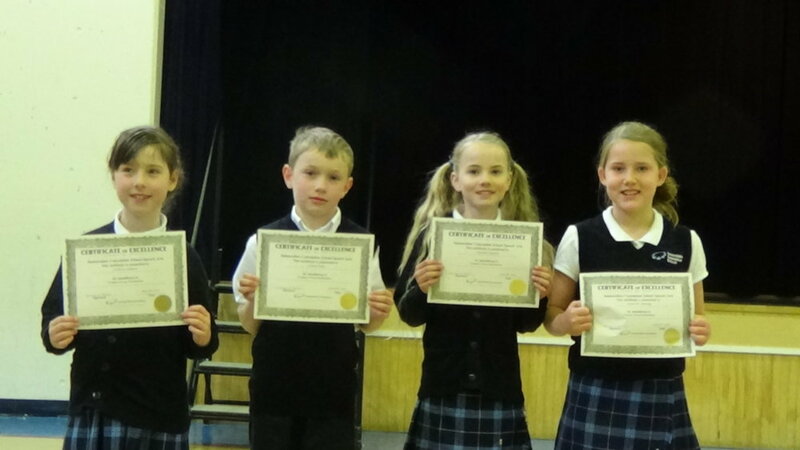 Kudos to our Grade Two and Grade Three students who have advanced to the Archbishop Carney Speech Arts Festival in this category. We wish all of our contestants the best of luck and we will be thinking of you on April 22nd!